It takes a little imagination, a little money (not a lot) to create your garden escape. Now you have a place in nature right in your back yard. You can get in a comfortable chair, just sit back, close your eyes and wonder about what it would take to transform your back yard into your own relaxing garden retreat. You can check out these garden tips and then make a plan for your garden where you can escape. Can you imagine what it would take, a bench here, a small fountain or pond there, and some orchids in this spot, other flowering trees there? It is easy to get your imagination engaged and start planning what you would like in your own special garden space. It is also possible to hire a landscape designer to get you started on a new garden. It is also fun to get some other ideas. 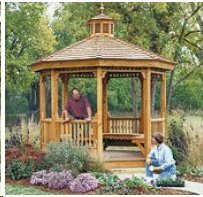 You will be turning an area into your little sanctuary, your escape in right in your garden. It can be a place to kick back, relax and just enjoy the wonderful environment that nature and plants give us. Do you remember how nice it was to walk through parks that you have visited? Remember how relaxing it was? Listening to the birds, not hearing as much traffic, transferring yourself to another scene or time. You can also get some great ideas for your own special garden from the parks you visit. Check out how they use plants and flowers to accent certain areas. Notice how some of them grow better in the shade or in sunshine. Pay attention to how they use fountains and ponds. Orchids can be used to hang on trees or on rocks as they are generally air plants. Some like phalaenopsis like the shade but cattleyas can take some direct sunlight. Depending on your climate you can put to use some of the orchids that like the tropical heat and others that are more temperate. For more information please see our article on orchid plants. There are many other decorative trees, like flowering apples, small red maples, that can be placed in an attractive place in your garden escape. Consider day lillies or philodendrons to add some color. And the use of succlents and cacti in the rocky areas makes for a wonderful addition. And consider adding some bird feeders. These will attract various birds. Your local garden or nursery store can give you more guidance as to which birds are attracted to which feeders in your area. Yes, you too, can have your haven in your garden escape - a really tranquil and relaxing space for your retreat. If you want to read more about gardening check out these additional articles. You have always been envious of your neighbors' spruced up garden by the yard. With these..
Peace, tranquility can all be yours within your garden. Here's how.